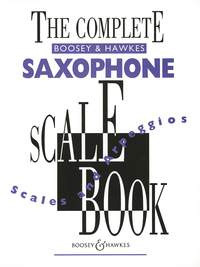 The Complete Saxophone Player Scale Book presents every scale you will ever need. For the beginner to the professional. Covers the requirements for grade examinations. Advanced patterns included for further practice. Polish your technique, whatever your level. The definitive scale book to last you a lifetime.